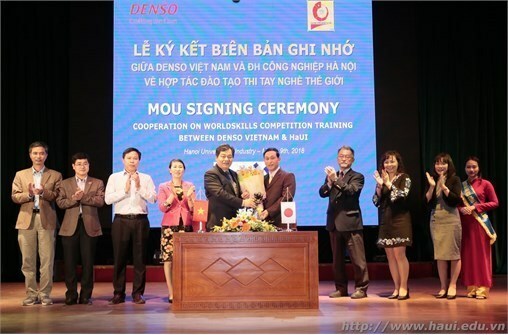 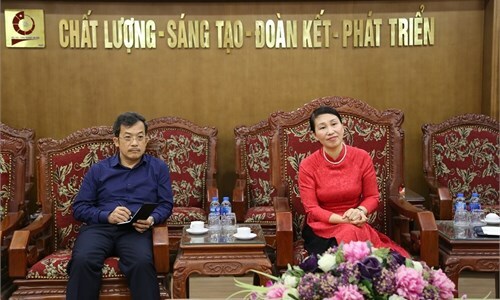 On the morning of March 9th 2018 at Hanoi University of Industry (HaUI), the ceremony for Scholarship grant and signing of partnership agreement with DENSO Vietnam Limited Company was organized with the aim of developing the partnership between HaUI and the company in the future. 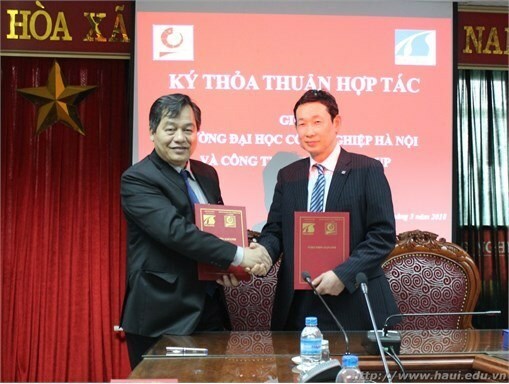 On the morning of 6th March, Hanou University of Industry (HaUI) signed a partnership agreement with Tokushin Group, a Japanese corporation with strong presence in the construction and architecture design industry. 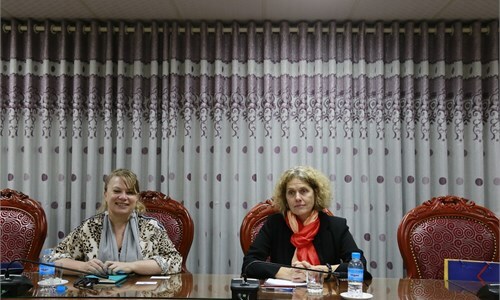 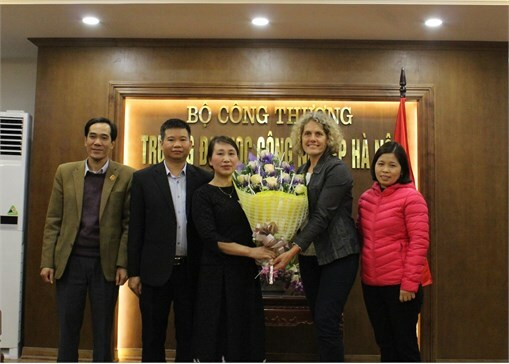 On November 27th, 2017, Dr. Margaret Kettle - Senior Lecturer from Queensland University of Technology (Australia) had a meeting with representatives of the Executive Board and the Faculty of Foreign Languages of Hanoi University of Industry (HaUI). 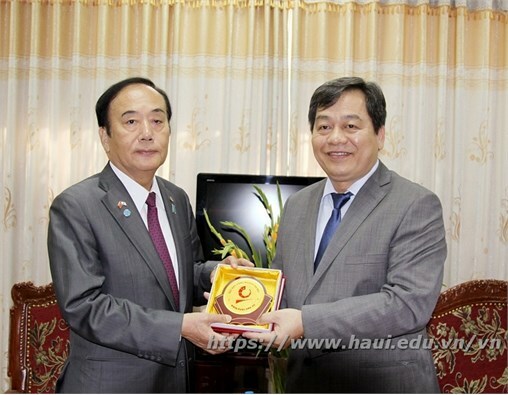 On the afternoon of March 10th, 2017, HaUI Institute of Technology welcomed the delegation from Ryukoku University (Japan) headed by Prof. Matsukidaira, Dean of Faculty of Science and Technology. 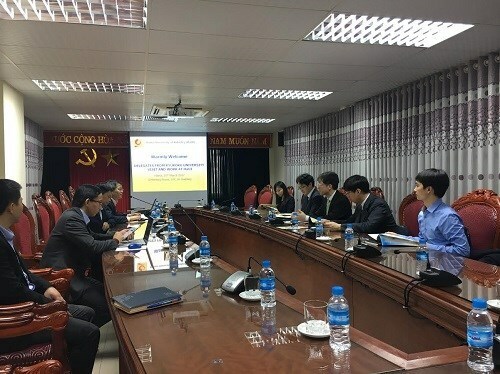 There were representatives from the Department of International Cooperation, HaUI Institute of Technology, Faculty of Electronics Engineering, and the university's scientists attending the ceremony. 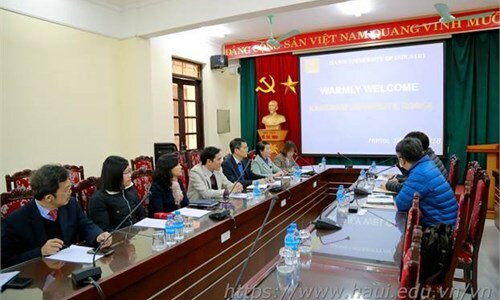 On the morning of 13/02/2017, a delegate from Osaka University visited and had a meeting with leaders of Hanoi University of Industry. 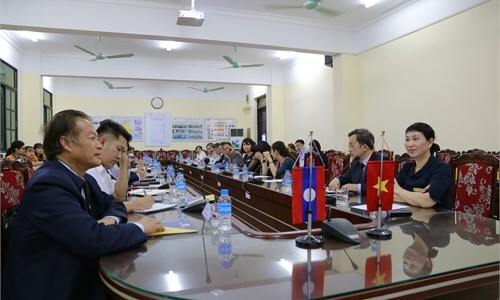 Present at the meeting are Dr. Bui Thi Ngan - Vice Principal of HaUI, JICA experts and representatives from other operational departments including: International Cooperation Department, Vietnam - Japan Center, Center for Vocational Skill Assessment and Enterprise Partnership. 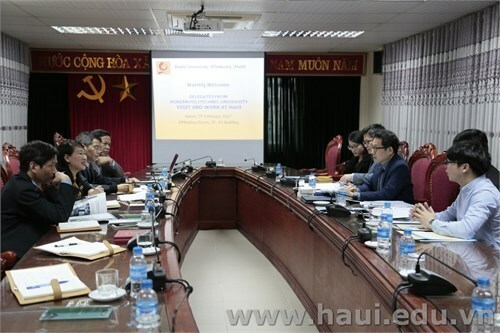 On the morning of 09/02/2017, Dr. Bui Thi Ngan, Vice Rector of Hanoi University of Industry and representatives from several operational departments received and had a meeting with delegate from Korea Polytechnic University (KPU). 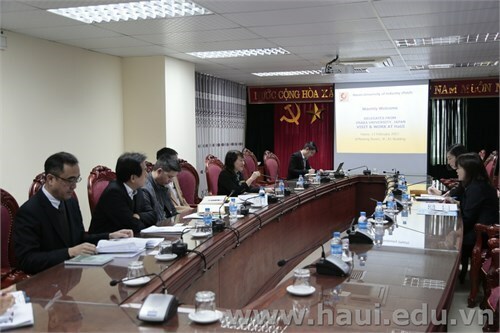 On the morning of 17th January 2017, the 12th meeting of HaUI – JICA project management board was held and chaired by Assoc. 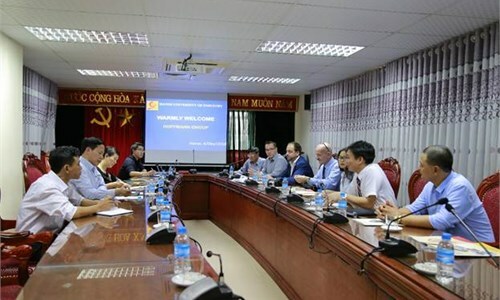 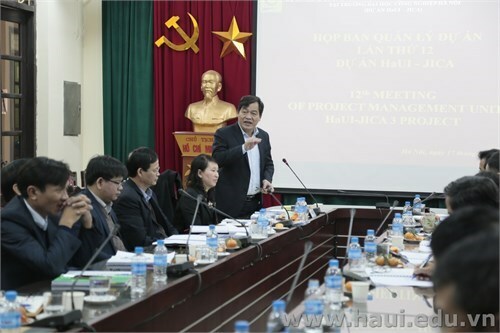 Prof. Tran Đuc Quy, Head of Project management board. 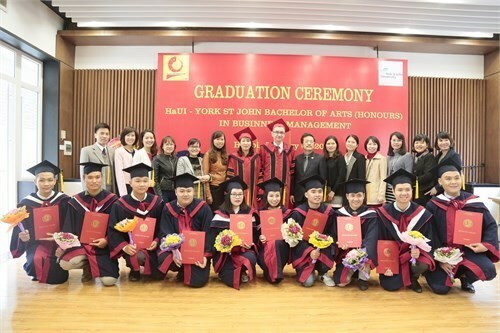 On the morning of January 14th 2017, Graduation Ceremony for HaUI – York St John Bachelor of Arts in Business Management graduates took place at the university, marking HaUI’s sucessful development in International Cooperation. 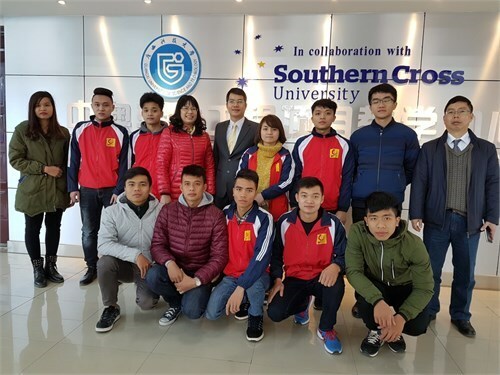 From 27th December 2016 to 05th January 2017, the delegation of HaUI had a working visit at Guangxi University of Science and Technology (China) and had a talk of the learning experience of HaUI’s students in the industrial Zone and Guangxi University of Science and Technology.